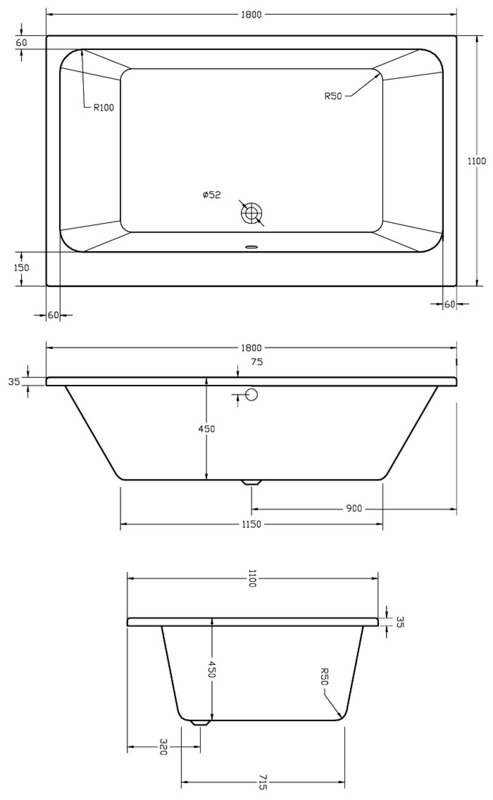 A very well built large heavy duty double ended designer extra deep bath. 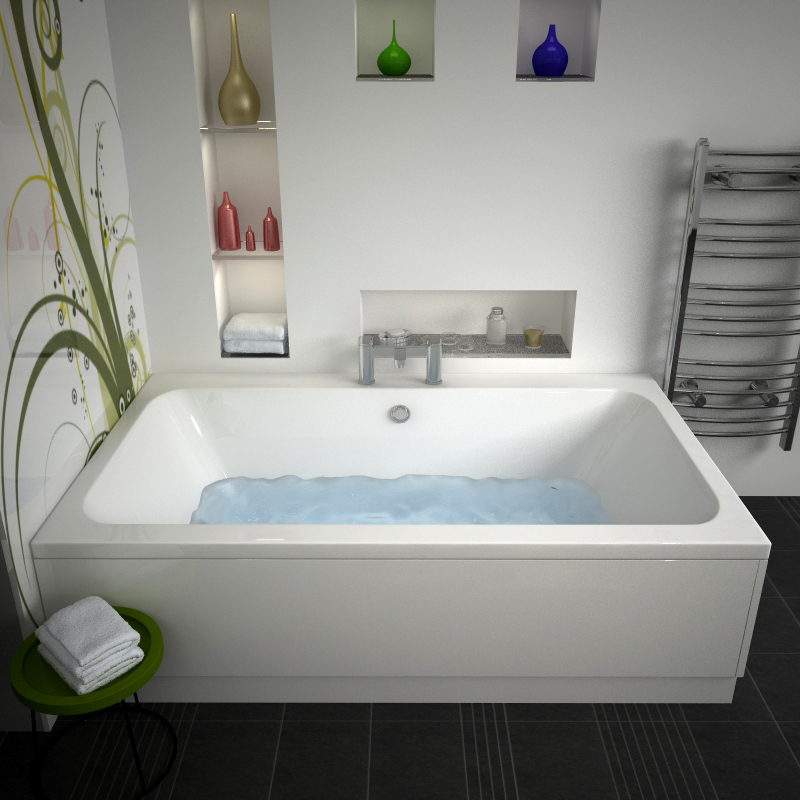 Vernwy Jumbo large bath is ideal for free-spirited romantic couples who enjoy soaking together or plenty room for a single person. 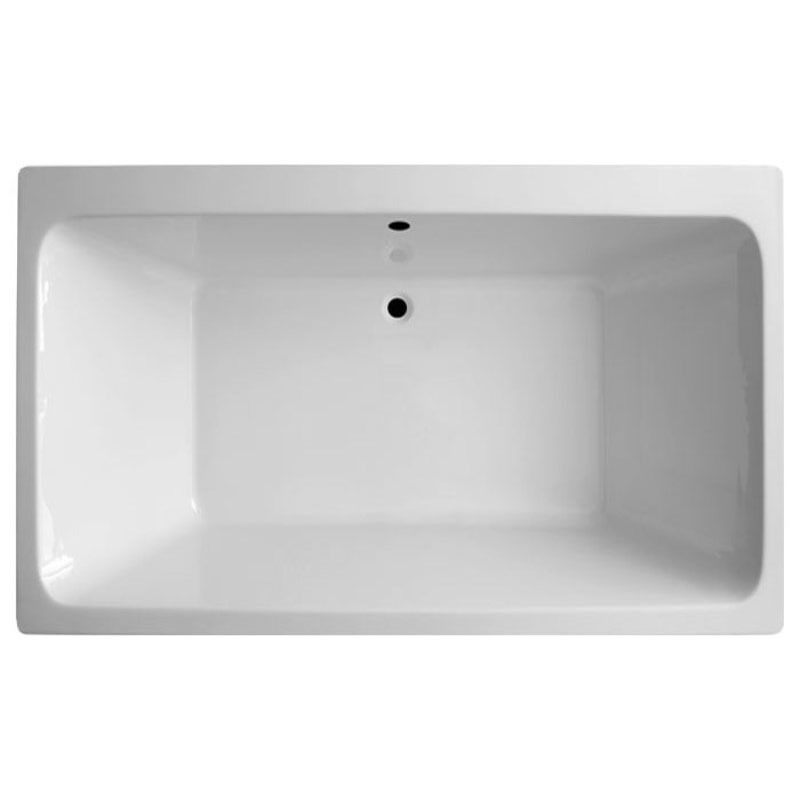 The Vernwy Jumbo double ended bath is manufactured from supreme quality acrylic with an encapsulated 15mm baseboard for added strength. 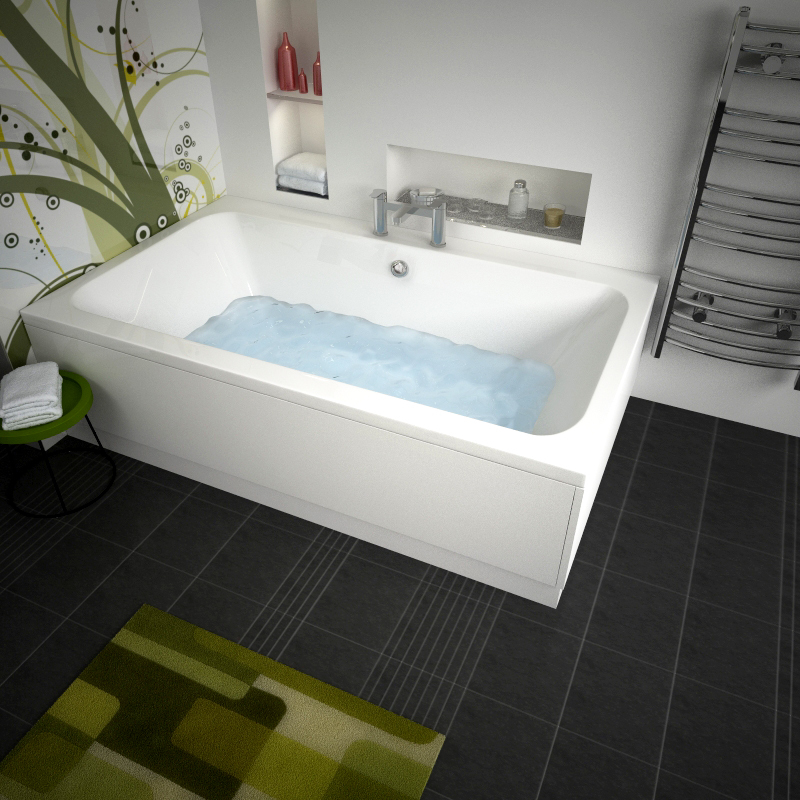 Bath walls are built with an extra layer of glass fibre for re-enforcing the bath and also has re-enforced bath legs, making it extremely strong.